но умереть за народ может только Царь". ​Любите Бога, люди Русские, любите! Всем существом своим, всем сердцем, всей душой! За Русь Святую жертвуйте собой! BEHIND ALL WARS, REVOLUTION, DOWNFALL OF KINGDOMS, – ALL THE POLITICAL EVENTS OF EXTERNAL HISTORY – WE SEE THE HIDDEN WORKING OF SPIRITUAL LAWS AND, IN THE FINAL ANALYSIS, GOD’S PROVIDENCE CONCERNING THE FATES OF PEOPLES AND NATIONS. ANY OTHER EXPLANATION OF THE REASONS FOR THE REVOLUTIONS OF 1905 AND 1917 WOULD BE INCOMPREHENSIBLE AND INACCURATE. ONE THING IS CERTAIN: THE RUSSIAN SOCIETY’S APOSTASY FROM GOD AND THE CHURCH BROUGHT DOWN GOD’S WRATH UPON RUSSIA. AS IN THE MANY CASES OF ANCIENT ISRAEL’S APOSTASY FROM GOD, ABOUT WHICH WE READ IN THE BIBLE, RUSSIA’S MALADY COULD NOT BE CURED BY ORDINARY MEASURES. FOR THE SAKE OF INSTRUCTION AND CORRECTION GOD WOULD HAND THE JEWS OVER INTO THE HANDS OF INFIDELS; THE VERY SAME FATE BEFELL RUSSIA IN THE BEGINNING OF THE 20TH CENTURY. 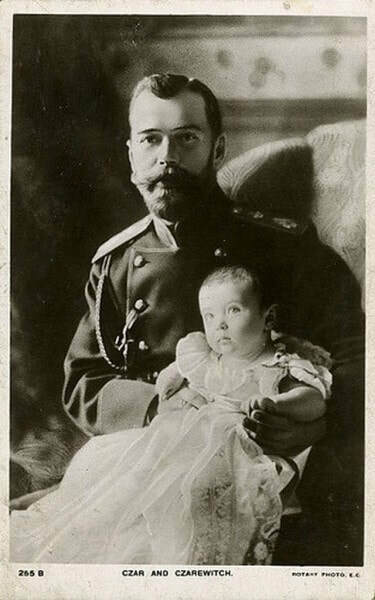 THROUGH TSAR NICHOLAS II – AN IRREPROACHABLY PURE AND WONDERFUL PERSON – GOD’S WILL WAS MADE MANIFEST IN THE WORLD. HIS FATE, IN ESSENCE, WAS DEEPLY TRAGIC. HE WAS BORN ON THE DAY OF ST. JOB THE MUCH-SUFFERING AND WAS KEENLY AWARE THAT HIS LIFE WAS SIMILAR TO JOB’S MARTYRIC PATH. HIS KNOWLEDGE OF HIS FATE WAS TRULY PROPHETIC. 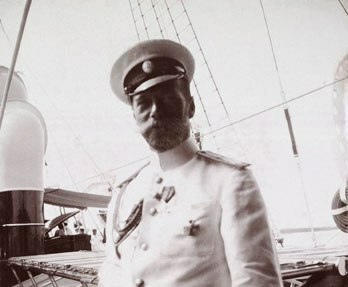 “I HAVE MORE THAN A PRESENTIMENT, – HE USED TO SAY, – THAT I AM DOOMED TO TERRIBLE TRIALS, AND THAT I WILL NOT BE REWARDED FOR THEM IN THIS WORLD.” BEGINNING WITH RUSSIA’S DEFEAT IN THE RUSSO-JAPANESE WAR, WHICH WAS FOLLOWED BY THE REVOLUTION OF 1905-1907, WHICH DIMINISHED THE TSAR'S POWER AND FREED THE FORCES OF ANARCHY AND OUTRIGHT EVIL, THE FOUNDATIONS OF RUSSIAN SOVEREIGNTY TOTTERED MORE AND MORE. “I AM UNSUCCESSFUL IN ALL MY UNDERTAKINGS, – THE TSAR BITTERLY CONCLUDED, – I HAVE NO LUCK. 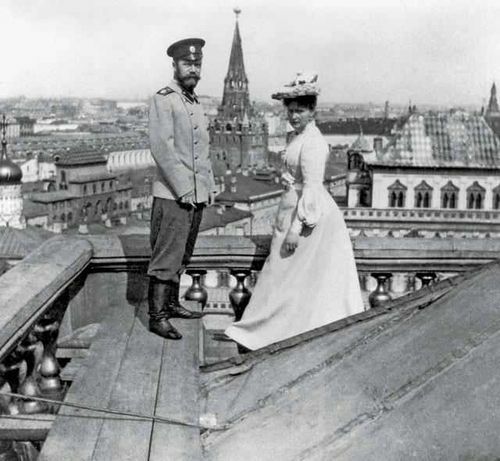 HOWEVER, MAN’S WILL IS SO POWERLESS ANYWAY.” HE REALIZED THAT HE WAS NOT SUBJECTIVELY TO BLAME FOR RUSSIA’S MISFORTUNES; THE GOOD OF THE MOTHERLAND MEANT MORE TO HIM THAN ANYTHING ELSE, AND HE DID EVERYTHING HE COULD FOR THIS GOOD. TSAR NICHOLAS’S CONSCIENCE WAS CLEAR BEFORE GOD, BUT HIS MORAL SUFFERING, NEVERTHELESS, REACHED EXTRAORDINARY PROPORTIONS. THUS ONCE, – THIS WAS DURING THE FIRST RUSSIAN REVOLUTION, – FROM THE DEPTHS OF HIS INNER ANGUISH THE TSAR UTTERED PROPHETIC WORDS WHICH INDICATED WITH ABSOLUTE ACCURACY THE ROLE HE WAS INVISIBLY ASSIGNED TO PLAY IN RUSSIA’S FATE BY GOD HIMSELF. “PERHAPS A SACRIFICE IS NEEDED FOR THE SALVATION OF RUSSIA, – SAID THE SOVEREIGN. – I SHALL BE THAT SACRIFICE. 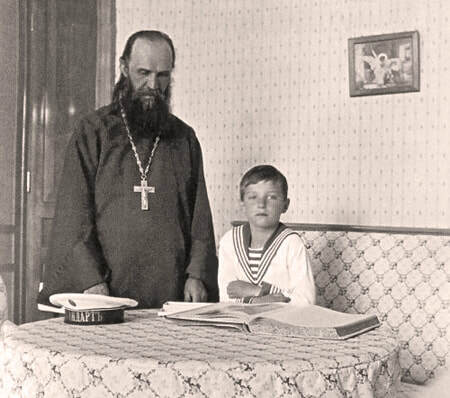 MAY GOD’S WILL BE DONE.” IN SAYING THIS THE TSAR WAS LIKE THE MARTYRS OF ANCIENT TIMES, WHO FREELY AND WITHOUT COERCION GAVE THEMSELVES UP TO SUFFERING FOR CHRIST. 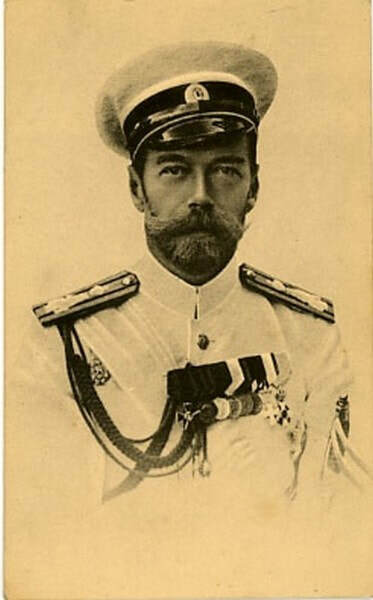 NICHOLAS II WAS MURDERED IN JULY OF 1918 NOT SIMPLY AS A HELPLESS AND DEFENSELESS PERSON: THE EXTRAORDINARY COURAGE OF HIS BEHAVIOR AS HE DESCENDED INTO THE CELLAR OF THE IPATYEV HOUSE WITH HIS SICK SON IN HIS ARMS, AND EVEN EARLIER, WHEN HE AND THE EMPRESS REFUSED TO EMIGRATE OR FLEE THE COUNTRY, – ALL THIS SPEAKS OF THE FACT THAT THEIR SOULS WERE READY FOR SACRIFICIAL AND CHRIST-LIKE SUFFERING, WHICH FULFILLED THE PROPHETIC WORDS SPOKEN BY HIM 10 YEARS BEFORE. 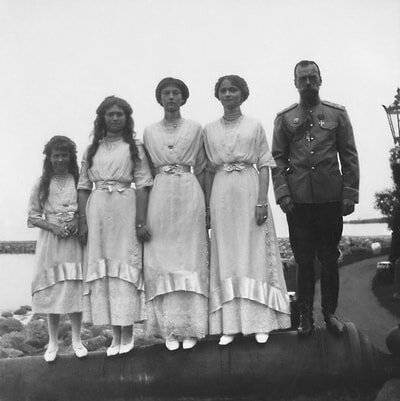 WHEN AUSTRO-HUNGARY DECLARED WAR ON SERBIA, RUSSIA CAME TO THE AID OF THIS SMALL SLAVIC NATION. THIS EVENT STILL LIVES IN THE HISTORIC MEMORY OF THE SERBS; AND IF AMONG EUROPEAN NATIONS THERE IS STILL ANYONE WHO LOVES RUSSIA AND RUSSIANS – IT IS THE SERBS. 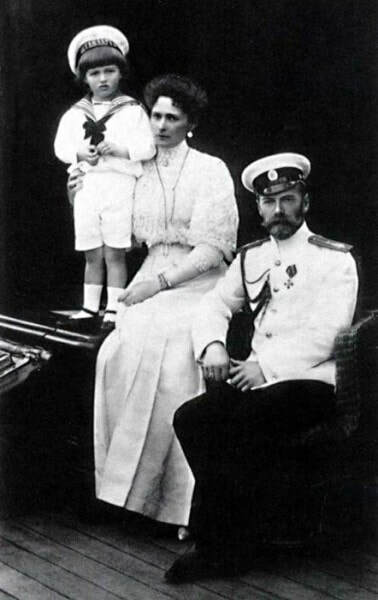 HOWEVER, THEIR GREATEST LOVE WAS FOR TSAR NICHOLAS II, WHO HAD SANCTIONED RUSSIA’S PARTICIPATION IN THE WAR. IT WAS THE SERBS WHO BEGAN VENERATING THE RUSSIAN TSAR AS A SAINT, PLACING HIM ON A PAR WITH THEIR GREAT SAINT SAVVA OF SERBIA. 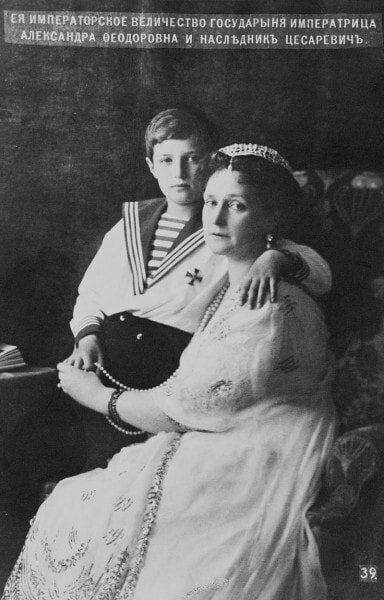 AND IT WAS AMONG THE RUSSIANS IN SERBIA THAT THE ISSUE OF CANONIZING THE ROYAL FAMILY WAS BROUGHT UP FOR THE FIRST TIME IN 1938. 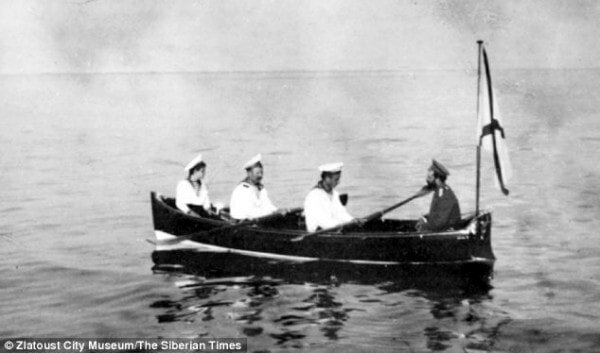 THE BEGINNING OF THE WAR BROUGHT SUCCESS TO THE RUSSIANS AT THE FRONT, AND THE COUNTRY WAS GRIPPED BY PATRIOTIC FERVOR. THE REAR PROVIDED IMMENSE AID TO THE FRONT; THE EMPRESS AND THE PRINCESSES TOOK AN ACTIVE PART IN IT. 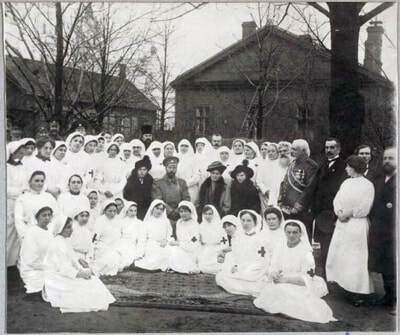 AFTER LEARNING THE ART OF NURSING, THEY DAILY SPENT MANY HOURS IN THE HOSPITALS. 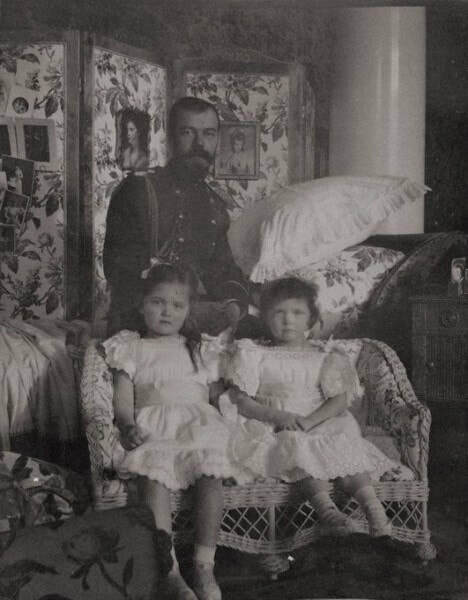 THE EMPRESS AND HER DAUGHTERS OLGA AND TATYANA TENDED THE WOUNDED AND SAT WITH THE DYING, PROVIDING GREAT COMFORT TO THE SUFFERERS. THE EMPRESS AND TATYANA ALSO WORKED AS SURGICAL NURSES; IT IS NOT HARD TO IMAGINE THEIR COURAGE, PATIENCE AND TRULY CHRISTIAN LOVE: ASSISTING THE DOCTORS IN NUMEROUS AMPUTATIONS OF INJURED LIMBS REQUIRED, BESIDES TRAINING, GREAT MORAL STRENGTH. THE WINTER PALACE WAS ALSO TURNED INTO A HUGE HOSPITAL. 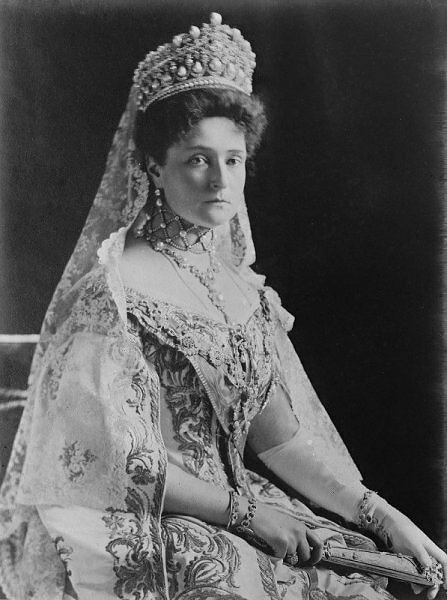 THIS ENTERPRISE ALSO INCLUDED THE PREPARATION OF UNDERGARMENTS, WARM CLOTHES, AND OTHER ITEMS NEEDED BY THE SOLDIERS AT THE FRONT; THE ENTIRE WORK WAS ORGANIZED BY THE EMPRESS. SHE ALSO SENT TO THE FRONT A MULTITUDE OF GOSPELS, ICONS, AND CROSSES, WHICH WERE HANDED OUT TO THE SOLDIERS. ONE CAN IMAGINE THE JOY OF A SOLDIER WHO HAD RECEIVED SUCH A BLESSING FROM THE EMPRESS! SOON, HOWEVER, OUR ARMIES’ OFFENSIVE STOPPED, WHILE OUR LOSSES BEGAN TO INCREASE. DISCONTENT AROSE IN THE TOP CIRCLES OF SOCIETY – BOTH IN THE CAPITAL AND AT MILITARY HEADQUARTERS. THE REVOLUTIONARIES MADE USE OF THE LACK OF SUCCESS AT THE FRONT, IN ORDER TO DISSEMINATE THEIR PROPAGANDA AT THE FRONT AND IN THE REAR. 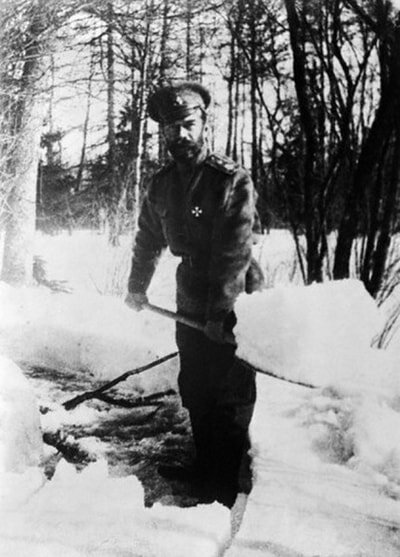 THE GERMANS QUICKLY MOVED TOWARD THE HEART OF RUSSIA; IN THESE CONDITIONS, WISHING TO RAISE THE SPIRIT OF THE TROOPS, THE TSAR TOOK UPON HIMSELF THE SUPREME COMMAND AND MOVED TO GENERAL HEADQUARTERS, DEPLOYED AT MOGILEV. PRINCE ALEXIS WENT WITH HIM TO THE FRONT. 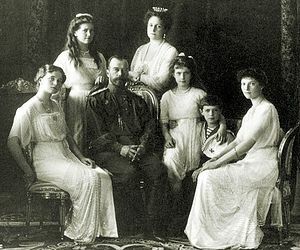 HOWEVER, MAKING USE OF THE TSAR’S ABSENCE FROM THE CAPITAL, OPPOSITIONAL ARISTOCRACY INCREASED ITS ACTIVITY. 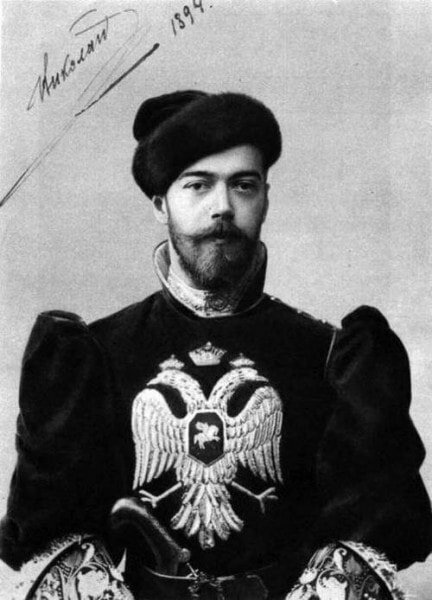 THE COURT DISCUSSED THE ADVISABILITY OF A COUP D’ETAT, PLACING GRAND DUKE NICHOLAS (THE TSAR’S UNCLE) ON THE THRONE. 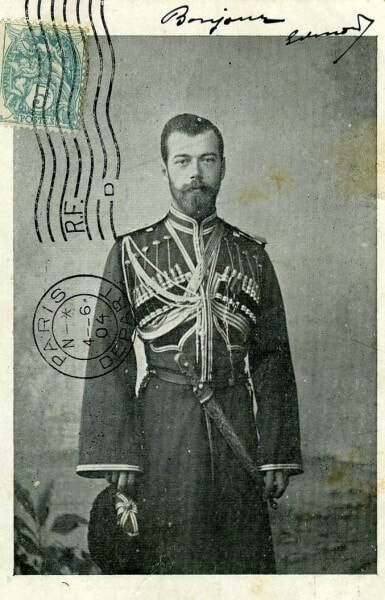 THE OPPOSING FACTION ASSERTED THAT THE TSAR AND THE EMPRESS STOOD IN THE WAY OF RUSSIA’S VICTORY IN THE WAR; GRAND DUKE NICHOLAS SENT THE TSAR A TELEGRAM, ENTREATING HIM TO ABDICATE THE THRONE. 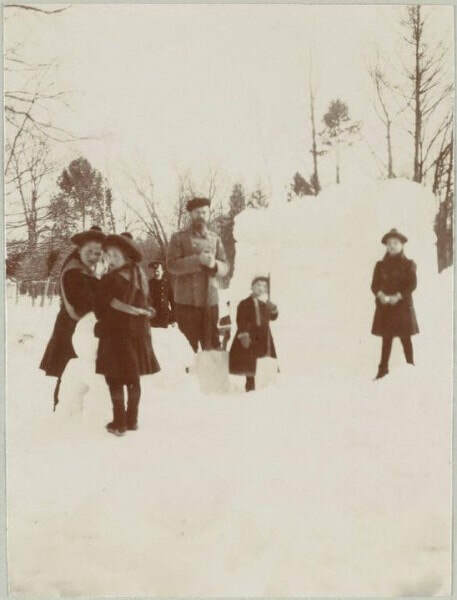 SIMILAR TELEGRAMS WERE ALSO SENT BY THE MAJORITY OF THE COMMANDING OFFICERS AT THE FRONT. 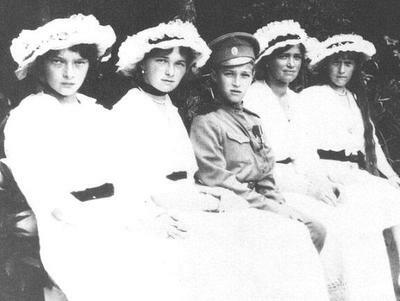 AND WHEN A REVOLUTION OCCURRED IN FEBRUARY 1917, THE TSAR'S ENTOURAGE TOOK THE SIDE OF THE PROVISIONAL GOVERNMENT. 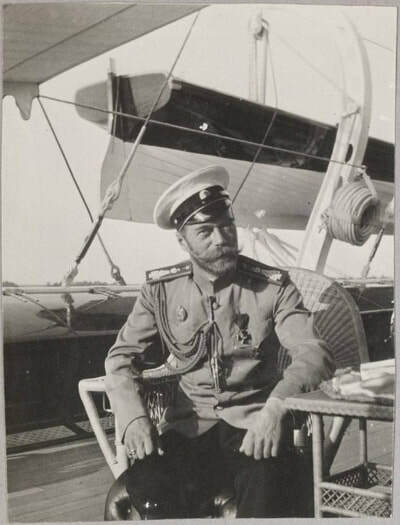 THE TSAR WAS ASSURED THAT ONLY HIS ABDICATION FROM THE THRONE COULD SAVE RUSSIA. AND IN THE FACE OF SUCH BETRAYAL THE TSAR SACRIFICED HIMSELF, HEEDING THESE VOICES. AFTER A FERVENT PRAYER DURING THE NIGHT IN FRONT OF AN ICON, HE ABDICATED THE THRONE; THIS TOOK PLACE ON MARCH 2ND. “THERE IS NO SACRIFICE THAT I WOULD NOT MAKE FOR THE TRUE GOOD AND SALVATION OF RUSSIA. 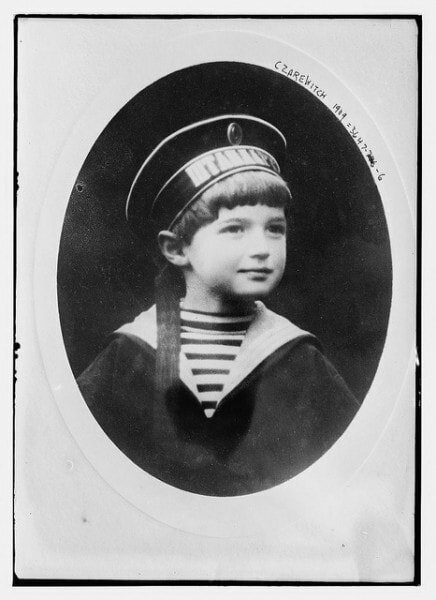 FOR THIS REASON I AM READY TO ABDICATE THE THRONE” – SUCH IS THE TELEGRAM HE SENT TO THE CHAIRMAN OF THE DUMA. HOWEVER, AFTER THE ABDICATION EVERYTHING TURNED OUT CONTRARY TO WHAT THE OPPOSITION WAS EXPECTING: THE PEOPLE BEGAN TO FALL PREY TO THEIR BASEST PASSIONS AND MORAL DECAY SET IN; WITH UNBRIDLED SPEED RUSSIA RUSHED TOWARDS DESTRUCTION. THE TSAR’S SACRIFICE WAS ACCEPTED BY GOD, BUT NOT IN THE WAY THAT THE ARCHITECTS OF THE ABDICATION HAD IN MIND: THERE WAS NO IMMEDIATE OUTWARD BENEFIT FROM IT. 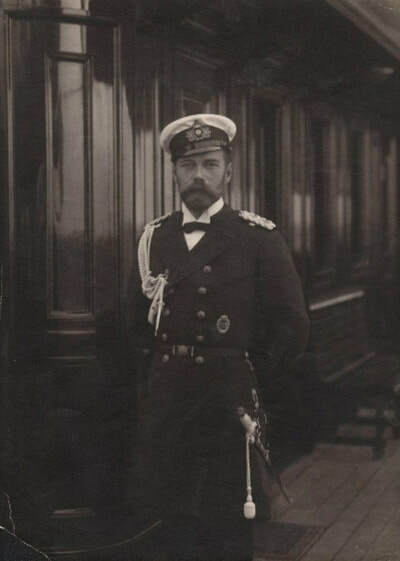 THE TSAR HAD BEEN THAT MYSTIC PRINCIPLE WHICH HAD RESTRAINED THE FORCES OF EVIL; NOW NOTHING PREVENTED ANTI-CHRISTIAN ELEMENTS FROM ENTERING INTO THE WORLD. A NEW ERA BEGAN FOR THE SOVEREIGN AND HIS FAMILY: THEIR WORLDLY LIFE ENDED AND THEIR SAINTS’ LIFE BEGAN, TOGETHER WITH THEIR CHRISTIAN EXPLOITS. 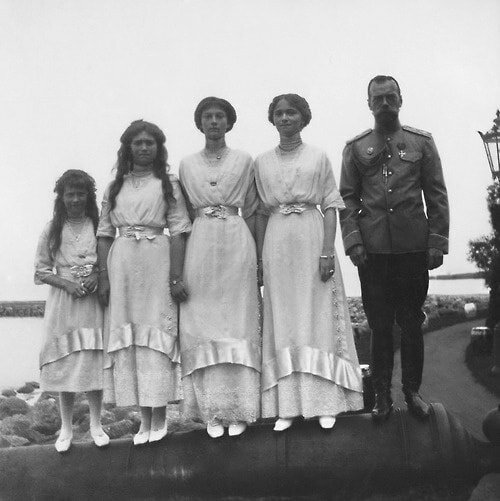 THE TSAR AND HIS ENTOURAGE WERE KEPT UNDER GUARD AT TSARSKOYE SELO. THE PRISONERS PINNED THEIR HOPES ONLY ON GOD’S WILL, AND THE LORD HELPED THEM RETAIN THEIR INNER PEACE UNTIL THE VERY END. 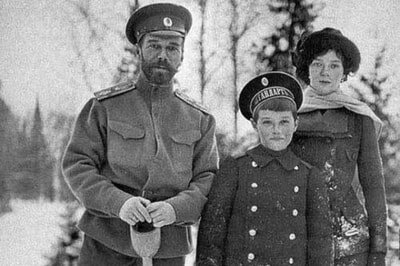 THE TSAR AND HIS FAMILY WERE SUBJECTED TO HUMILIATION AND MOCKERY FROM THE GUARDS AND THE OTHER “NEW” PEOPLE WHO NOW SURROUNDED THEM. ON JULY 31ST THE MARTYRS’ PATH TO GOLGOTHA BEGAN: THEY WERE TAKEN FROM THEIR PALACE AND SENT ON TO SIBERIA. 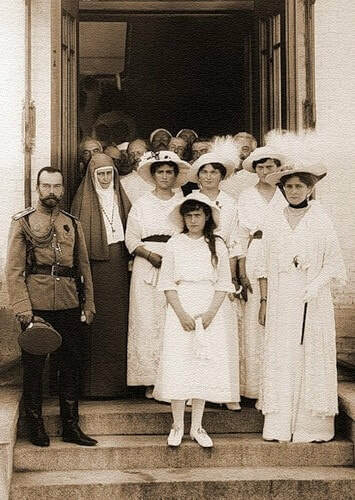 ON AUGUST 6TH THE ROYAL FAMILY ARRIVED IN TOBOLSK ON THE SHIP “RUS’.” “MY HEART BLEEDS INEXPRESSIBLY FOR THE DEAR HOMELAND,” – THESE WORDS OF THE EMPRESS IN A PRIVATE LETTER DESCRIBE THE INNER STATE OF THE ENTIRE FAMILY. BUT ITS MEMBERS WERE CHEERFUL: THEY WERE FORTIFIED BY THEIR FAITH, THE CHURCH, AND GOD’S GRACE. 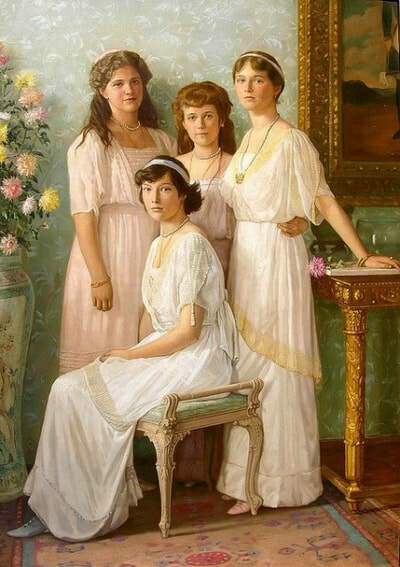 THEY FAITHFULLY PARTICIPATED IN CHURCH SERVICES; THE EMPRESS AND THE CHILDREN SANG IN THE CHOIR. THROUGH THEIR SUFFERING THE ROYAL MARTYRS’ SPIRIT GREW STRONGER. “GOD’S WAY IS A DAILY CROSS,” – THE EMPRESS WROTE THESE WORDS OF ST. ISAAC THE SYRIAN IN HER NOTEBOOK. “CHRISTIANS MUST UNDERGO SORROWS AND EXTERNAL AND INTERNAL WARFARE, IN ORDER TO CONQUER THESE BLOWS THROUGH PATIENCE. SUCH IS THE PATH OF CHRISTIANITY,” – ANOTHER OF HER EXCERPTS (FROM ST. MARK THE GREAT) REVEALS TO US THE INNER STATE OF THE SUFFERERS. 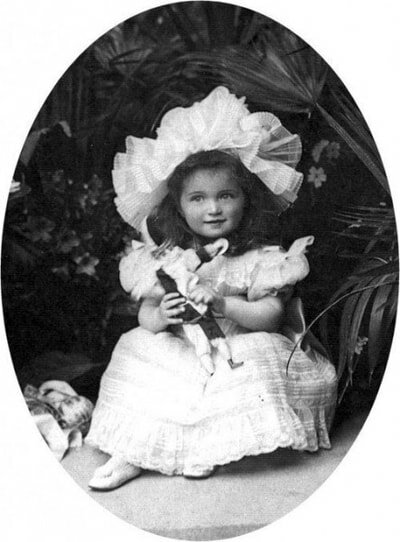 ON THE EVE OF PASCHA OF 1918 THE ROYAL FAMILY WAS PARTED. 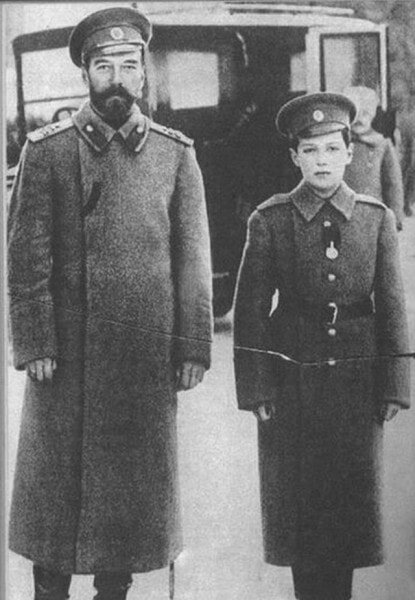 A COMMISSAR ARRIVED FROM THE BOLSHEVIKS IN MOSCOW AND ANNOUNCED TO THE TSAR THAT HE WOULD BE TAKEN AWAY. 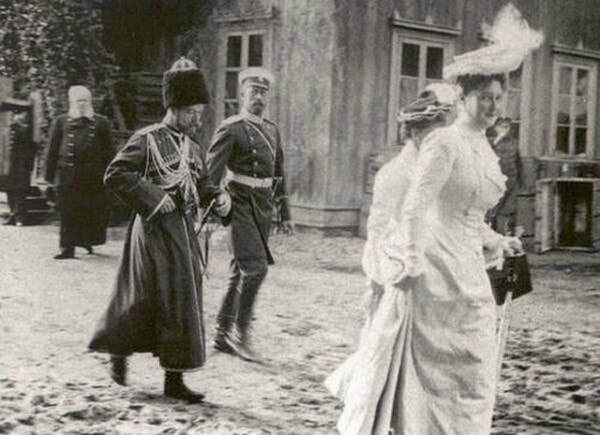 THE EMPRESS DECIDED TO ACCOMPANY HER HUSBAND DESPITE GREAT INNER AGONY, SINCE SHE WAS THUS BEING FORCED TO PART FROM THE SICK PRINCE ALEXIS. 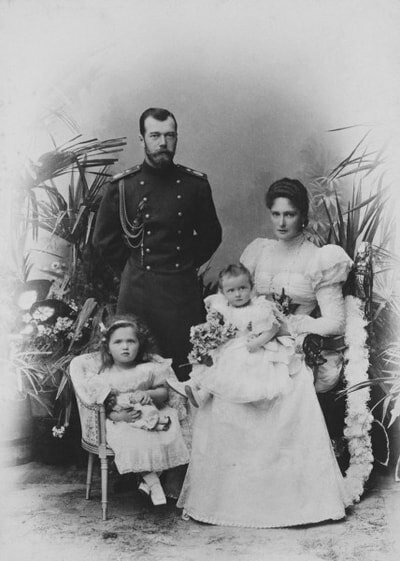 PRINCESS MARIA WENT TOGETHER WITH HER PARENTS…THIS PARTING WAS A TORMENT FOR THE ENTIRE FAMILY. 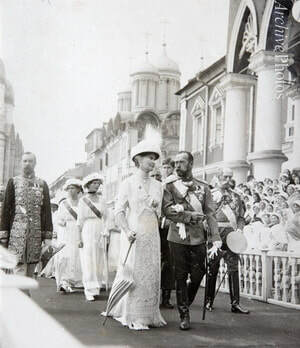 THE ROYAL COUPLE WAS DETAINED BY THE BOLSHEVIKS IN YEKATERINBURG. IN EARLY MAY THE OTHER MEMBERS OF THE FAMILY CAME HERE, TOGETHER WITH SEVERAL LOYAL SERVANTS. THE MARTYRS HAD TWO AND A HALF MONTHS TO LIVE. THEY WERE TORMENTED WITH INCREASING SUBTLETY, BUT EVEN AMONG THE BRUTAL GUARDS THERE WERE THOSE WHO BOWED DOWN BEFORE THEIR CHRISTIAN MEEKNESS AND HUMILITY. DURING THE NIGHT OF JULY 17TH THE GREATEST CRIME WAS COMMITTED: INNOCENT, HOLY PEOPLE, TOGETHER WITH GOD’S ANOINTED, WERE HEINOUSLY MURDERED. THREE DAYS BEFORE THIS VILLAINY A CHURCH SERVICE WAS SERVED FOR THE ROYAL FAMILY. WHEN THE PRAYER “GRANT REPOSE WITH THE SAINTS…” WAS SUNG, THE MARTYRS UNEXPECTEDLY GOT DOWN ON THEIR KNEES. AS THOUGH SENSING THEIR IMMINENT END, THEY SANG A FUNEREAL HYMN FOR THEMSELVES… THAT FATAL NIGHT THE GUARDS CAME FOR THEM, SAYING THAT THEY WERE BEING TAKEN OUT OF THE CITY. 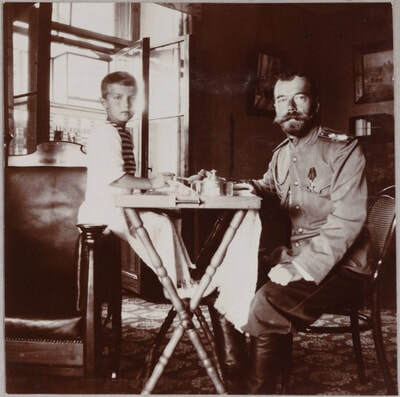 INSTEAD, THEY WERE TAKEN DOWN TO THE CELLAR; SEVERAL CHAIRS WERE STANDING THERE, AND THE TSAR SAT IN THE MIDDLE, HOLDING THE TSAREVICH IN HIS ARMS. 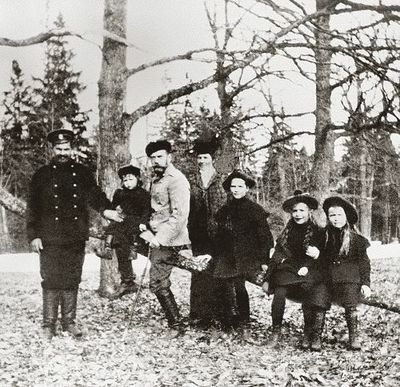 TOGETHER WITH THE ROYAL FAMILY WERE DOCTOR BOTKIN AND THEIR LOYAL SERVANTS. THEY WAITED FOR A SIGN OF DEPARTURE, BUT INSTEAD A COMMISSAR ENTERED THE CELLAR ACCOMPANIED BY SOLDIERS. THE COMMISSAR – HIS NAME WAS YUROVSKIY – ANNOUNCED THE FORTHCOMING EXECUTION. THE EMPRESS ONLY HAD TIME TO MAKE THE SIGN OF THE CROSS; SHE WAS KILLED INSTANTLY, AT THE SAME TIME AS THE EMPEROR. PRINCE ALEXIS AND PRINCESS ANASTASIA SUFFERED LONGER THAN THE REST; THE FIRST BULLETS DID NOT BRING THEM DEATH, AND SO THE SOLDIERS KILLED THEM OFF WITH BAYONETS. THE DOCTOR AND THE THREE SERVANTS DIED ALSO, SHARING THE FATE OF THE ROYAL FAMILY OUT OF LOVE FOR THEM. THIS SACRILEGIOUS MURDER WAS NOT SIMPLY A PRIVATE CRIME OF THE POLITICAL REVOLUTION: IT WAS A UNIVERSAL SIN. THE BURDEN OF THE SIN OF REGICIDE STILL CONTINUES TO LIE UPON RUSSIA. ICON OF THE ROYAL MARTYRS. 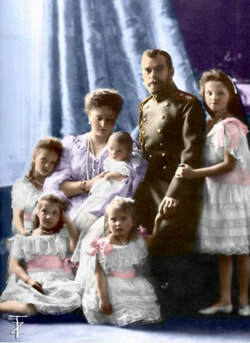 TSAR NICHOLAS II AND HIS FAMILY WERE THE CARRIERS OF THE IDEALS OF HOLY RUSSIA, OF THE IDEALS OF ORTHODOXY. IN CONTRAST TO MANY PEOPLE OF THAT ERA – CHRISTIANS IN NAME ONLY – THEY TREATED ORTHODOXY WITH ALL SERIOUSNESS. THEY WERE GOD’S ELECT AND, THEREFORE, PEOPLE NOT OF THIS WORLD; THEY WERE ALIEN TO THE SOCIETY OF THOSE TIMES. AS TRUE CHRISTIANS, THEY WERE PERSECUTED IN THIS WORLD; THEIR SORROWFUL PATH WAS CROWNED BY MARTYRDOM. NOW, TOGETHER WITH ALL THE OTHER RUSSIAN SAINTS, THEY STAND BEFORE CHRIST IN PRAYER FOR RUSSIA. Господи, Иисусе Христе, Сыне Божий, молитв ради Пречистыя Твоея Матере, святых Царственных Мучеников и всех святых помилуй нас! Аминь. "Светлой памяти возлюбленного Государя". Н.Д. Тальберг. 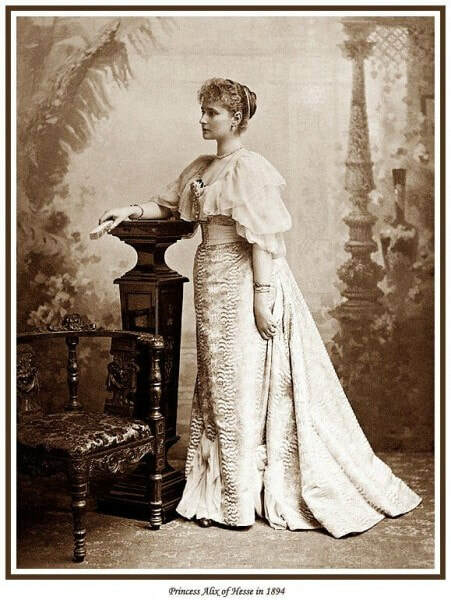 Глава 1Шестого мая (19) 1868 года, в день памяти святого и праведного Иова Многострадального, родился старший сын Наследника престола, нареченный, как его прадед, Николаем. Впервые в Российской Империи Великий Князь младенцем, со дня рождения своего, обручен был царству. Понятно то нарочитое внимание, которое родителями его было обращено на должные воспитание и образование будущего монарха величайшего государства. Протоиерей Александр Петрович Васильев, законоучитель царских детей и последний духовник Царственных мучеников, пастырь-трезвенник, патриот и монархист. Примечательно, что батюшка был выходцем из простого народа, чутким к страданиям ближних, талантливым и смиренным, и факт избрания его царской четой духовным наставником – ко всему прочему есть яркое свидетельство их собственного благочестия. Подобно другому священномученику-черносотенцу протоиерею Иоанну Восторгову, отец Александр в числе первых пал жертвой кровавого красного террора.